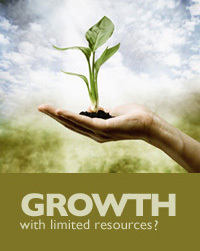 Do you find yourself wanting to invest in growth but not having the resources to make it happen? Do your trim your ambitions or fight the battle for more resources? Perhaps you are a general manager running a business within a mature market, where the corporation is counting on you to deliver cash to fund growth in other divisions. You may have reached the limits on cost cutting from programs such as Six Sigma and Lean Manufacturing and are seeking ways to add additional value in your markets. Your corporation, however, may not allow you to use the cash that your business is generating to fund your growth objectives. Or you may be a middle manager responsible for a functional area, such as customer service, facing the stark reality of wanting to make strategic change yet not having enough money or headcount to invest in implementing your functional strategy. The Tipping Point Leadership approach to growth and strategic transformation addresses these issues by visualizing the key elements of your desired strategy (to-be value curve) and relating them to your current strategy (as-is value curve). This approach helps you to mobilize support from your organizations and also clarifies how you will fund growth by reallocating, training, and redeploying current resources towards the to-be value curve. Is it time for you to learn how Value Innovation and Tipping Point Leadership can help you realize your growth agenda? Please contact us. How much risk do you have in your current business model? Are you sharpening your pencils too early?